Today was another day of moving boxes and rolls of fabric. Four car loads moved by the end of the day. The disadvantage of buying in bulk is that when your studio collapses you have wholesale sized rolls of fabric to move. But I do feel as if we are getting there, slowly but in an organised fashion. This is where I’ll be working – the row of units is really odd – I have a porch and a herb garden! Wouldn’t it be good to see some bulbs in there. All the units are different sizes and shapes. Some have clear glass, some frosted glass, some have a porch, some don’t. Perhaps they were made to individual specifications and now those people have moved on? It’s only a minutes drive away, you pull out onto the main road and its not worth getting into third gear before you have to turn off. The back room is still looking empty. That table is a temporary measure until I get my replacement Horn cabinet. Its all uncluttered in there atm, but the table will fill the space almost completely. Had I moved here before the studio I think I could have happily fitted into the space…. but I’ve erm, expanded. Bit like my waistline *sad look*. Two more car loads were delivered after this photo was taken (below) so that left wall is now stacked high with boxes. But that’s OK, I can see all my fabrics and my hand threads are now filling that white bookcase. The art and dyeing materials are all sorted out and put away. DH thinks he can connect the sink to the drain for me which will be useful. I usually store papers and card on the shelves in the desks, but I’ve decided to keep all the papers at home – they’re just too heavy to keep moving around. Besides the shelves are now full with paints, printing blocks and dye powders. In the kitchen I’ve removed the centre of the table to make some room – boxes that are being sorted ready to move. Yesterday we managed two full cars – some to tip (four bin bags are you impressed?) and the rest into storage. Today it’s moving boxes to the business park. It felt quite good until this happened…… one box slid, another fell….and that’s when you want to give up and scream. There are boxes and baskets of “bits” that were pulled off the shelves in a real hurry, these need sorting out and boxing up. But you find some nice surprises too. Anyone remember these? A postcard swap on ThreadEnds 2002. As you know all but one postcard / ATC was ruined but these were safe and sound in a box. DS had made up a collage on a notice board for me to take across the road. Looks beautiful. Hand dyed silks. Mulberry silk threads. Yes, I like this one. Artista stitched motif on hand dyed rayon, with hand dyed silk and silk velvet. Mulberry silk threads. Tea dyed silks and silk velvet. Mulberry silk threads. Nope, ditch this one. Tea dyed silks, silk velvet, lace and braid. Mulberry silk threads. Oh yes, let run with this one….. now where’s the lace??????? In which bedroom? Which box? 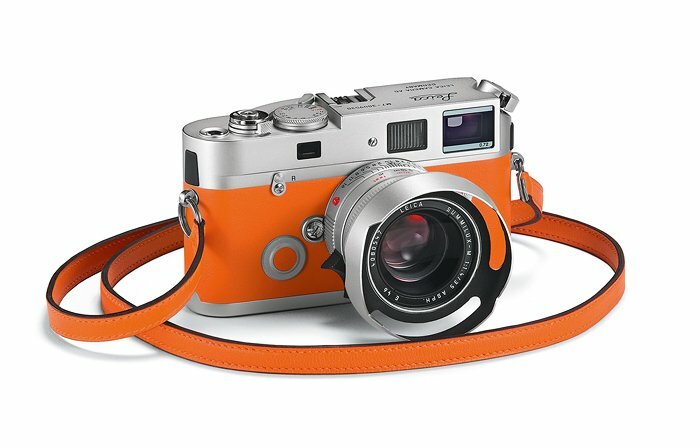 Leica M& limited edition by Hermes. Only 100 in the world. Only $12,950. That’s next Christmas sorted then darling! What a good attitude to life. Meanwhile I am trying to upload a proper post with JQ pictures but the internet connection keeps “dropping”. A problem we’ve had for many weeks now, and getting worse. BT aren’t hurrying to get it sorted either. Why does that not surprise? Well I am still dealing with the insurance claim – just waiting on quotes from two electricians and then all the paperwork can be sent off. We still have snow, but now we’re getting rain – and there is a lot of ice too. This is my temporary storage area, very kindly offered to me as I am desperate to find somewhere to store most of my supplies, but boy does it need a good clean. And its up a long flight of stairs too, not good for carrying lots of boxes of fabrics. The area is really huge, but I’m just going to use the old office space on the left. As you can see its very cluttered – just left as it was when the shop closed and then used as a dumping ground. I realised today that there was no electricity for the hoover…. so its back to old fashioned brushing and a wipe over (but no water either so I’ll have to take that too). Its all very dusty from past building work and being empty for a couple of years. Guess what I’ll be doing tomorrow…. We refuse to give to religious charities of any kind (believing that you should be helped regardless of race or religion) and so were pleased to find RD doing his bit. Money only goes to the Red Cross and Medecins sans Frontieres. Through dec.org.uk you can’t specify the charity (not that I could see). Compared to Haiti the studio is nothing to deal with. So far we are thawing at just the right speed (atm anyway, there’s still tonight and tomorrow to go). But the damage is everywhere, hearing of more farm sheds down, tarpaulin over a neighbours roof (and not the only one we’ve seen), lots of lost guttering. Ian went to get a takeaway last night and it cost £165.55. Yes £165.55 – he hit a pothole and a new tyre cost £150. He saw lots of other cars parked up changing tyres too and reported it to the police – who already knew. Today it had a cone on top of it. Well that’s fixed that then. Today we managed a normal Sunday – with DS’s Art class in Rothbury and lunch for us whilst he was there. Good to get out. Lots of guttering strewn around, very dirty snow, lots of water on the road and some more lethal potholes. Everyone, even DS, is glad to see the snow going at last. The river had hardly any water over the ford yesterday, today its up 3ft. Tonight its down to 2.5ft as we freeze up again. Phew. Looking across the field the snow is not just snow, but slush and part of the river getting closer. As you stepped in the snow the water got deeper and deeper, we stopped and came back home. You could see marks in the snow where the water was flowing underneath. (Picture taken at midday – it’s never really got light today). For escape yesterday………. and then it snowed again. Try again Monday. The city beckons. My car matches the signal box. Is that not just good planning and design? The latest – it’s collapsed even more. Heartbreaking. I am coping by organising space and the insurance claim. That way I don’t think about it too much. But I can’t stop thinking about the beautiful fabrics trapped under that roof. And my postcards – from DH’s travels, from friends, some ATC’s… they were pinned to the bookcases. All lost. Silly little things but they matter. Had I lost my various Towers or my precious hanging “Alberts and Stryer”, well, I’d still be an hysterical mad woman. That might still happen once the numbness has worn off. It’s a grieving process of a kind I guess. A blast from the past……… if you’re a long time reader you might remember this picture…. this is where I used to work before the studio. Yes, that right, just this little room and the kitchen table. Below is the view today. Same plastic storage units in almost the same space. Below is the bedroom. All the precious hand threads and beads next to the bed. The other bedroom. Oh, look, there are my machine threads!!!! And finally poor DS’s room. I think he has the worst as his room is at the top of the stairs and was filled up first. I even moved his display of rocks and fossils and took over the bookcase. That’s it with studio photos for a while now. Too negative. I’ll show you the demolition and rebuilding when it happens (you could be waiting some time). So onto a happier note and maybe even some textiles soon (I have the last 2010 JQ’s to show you tomorrow). I got my keys to the workshop unit today – the guy has painted the walls and the floor for me. Isn’t that wonderful? Hoping to empty the container on Monday and move the few pieces of furniture that we salvaged. I don’t often cross post with the Photo a Day blog but couldn’t resist another happy note – the Brora sale is on. Who can resist cashmere on sale? Snuggly, soft, warm and feels very safe. Just what I need. I’ve found a small solution – about 1/5th of the space I had, but somewhere to work and it has a roof that’s higher than floor level. I’ve also got the storage sorted elsewhere. Not ideal but better than nothing. And we get the house back. Sorry – not very good pics and not flattering for DH – shush…. Don’t tell him about this one. (above) This is the back room. Looking in from the outside door. Looking back to the outside door. A small sink with a bucket for collection – good enough to wash out a paintbrush. Not bad and only 1 mins drive away.